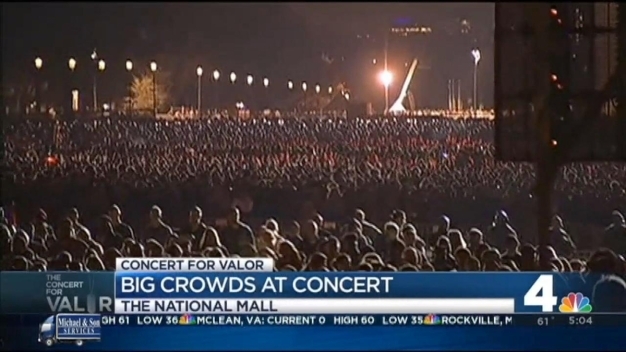 Crowds are moving at the National Mall and through the Metro system for the Concert for Valor. 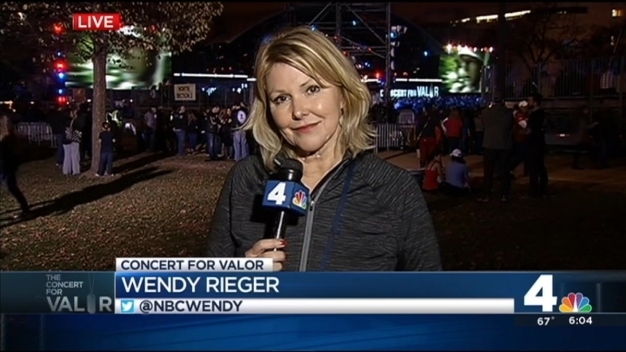 Wendy Rieger and Adam Tuss report. 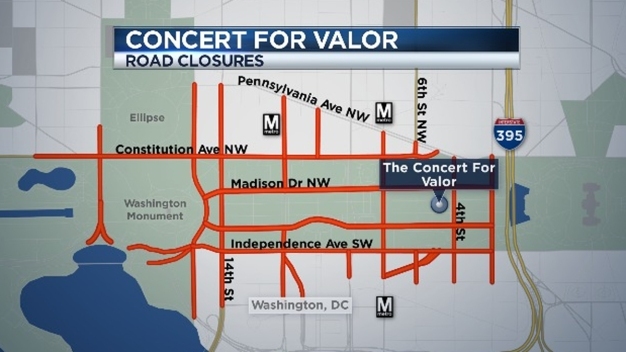 Not attending Tuesday's Concert for Valor, but don't want to miss out? 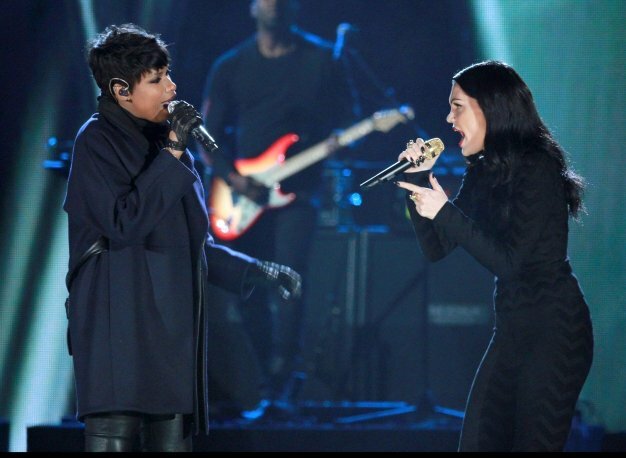 There are several ways you can still catch the star-studded concert, even from home. 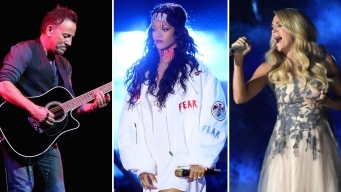 Military veterans and active-duty service members packed Washington's National Mall Tuesday for a free concert featuring Eminem, Bruce Springsteen, Metallica and Rihanna, among other performers. 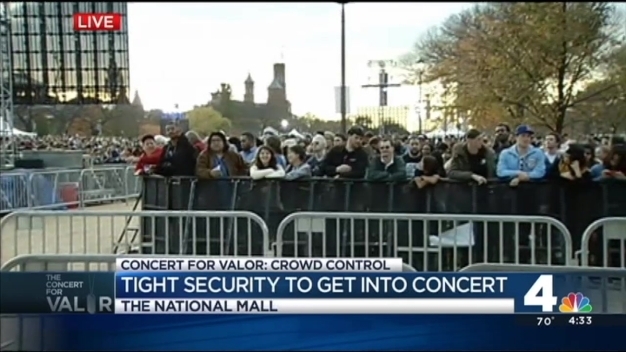 With 800,000 expected attendees, the Concert for Valor is shaping up to be a huge event. Follow these suggestions to make your experience as smooth as possible. 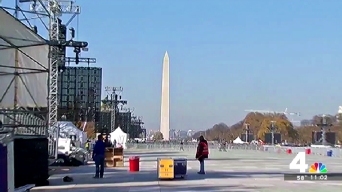 The stage is up, and so are the fences. 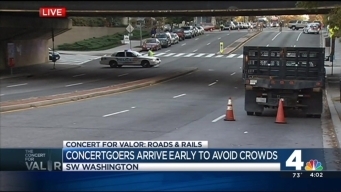 Crews are doing last-minute checks Monday for the Veterans Day Concert for Valor. A 17-foot-tall crocheted octopus was paraded to its new home at Takoma Children’s School on Tuesday, where it now sits on top of the playground shed.